We still casually refer to it as “the day we walked over the Pyrenees,” as if that’s a normal thing. This was probably the most dramatic, difficult, culture-shocked day of my entire three-month trip. Not only were we walking into a new country, we were also walking on a new, much more popular Camino path. Gone were our quiet days of encountering the same 20 or so familiar faces along the trail and at the dinner table. The day Eric and I arrived in Saint Jean Pied de Port, the pilgrim office told us there were 400 credencials issued. There were tourists everywhere. We heard English everywhere. That first morning, it felt like I was part of a long line of people, stretching for miles, all trudging in the same direction. If I was tempted to be a snob about being an “experienced” pilgrim among so many just setting out, the mountains kicked it right out of me. 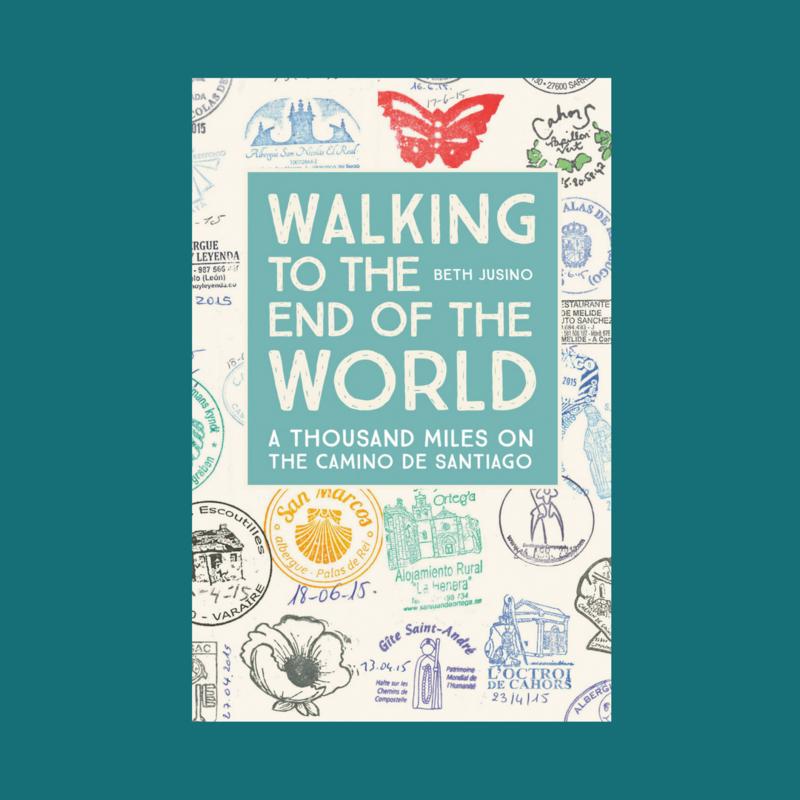 “Walking over the Pyrenees” means crossing via the Napoleon route near the western edge of the mountains, as they dip toward the Bay of Biscay. (Yes, this is the place where Emilio Estevez died in The Way.) The highest pass tops out at 1430 meters (4700 feet), which would put it comfortably in the White Mountains of New Hampshire. So it’s not exactly Mount Rainier, but that steady, relentless, sometimes steep incline for 20 straight kilometers (12 miles) is nothing to take lightly. 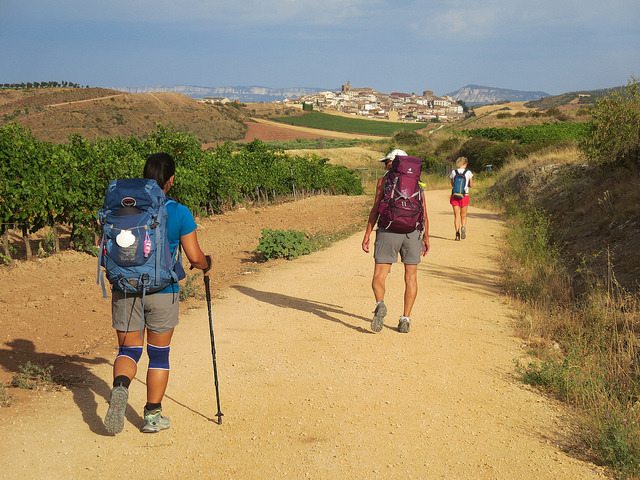 I hate, hate, hate uphill walking, and this was definitely the hardest day of the entire 1000-mile Camino for me. . I bow at the feet of those who choose to make it their first day…I had 35 days and almost 500 miles under my belt, and I still huffed and wheezed and swore and had serious doubts that I was going to make it over. And I might not have, except these amazing things kept happening. I would walk around a corner and find myself in the middle of a herd of sheep, or having to hop off the trail because the GIANT MOUNTAIN HORSES with bells were standing, placidly, in the way. Or because everything around me was so mind-blowingly beautiful. I call it the most amazing day that I’m glad I never have to do again. Remember that day! It was so good to walk a big part of that day with you. It was so beautiful and we were in shock about all these new pelgrims around us. Thanks for sharing your crossing over the Pyrennes! I started at SJPP and stayed the night at Orisson. Two very hard days. I’m curious, since you did the walk in one go, at what time did you reach Roncesvalles? I read someone’s post who said she left after 8 am and didn’t arrive at Roncesvalles until 10 pm! I left SJPP early (7am) and arrived in Roncevalles at about 3:00, if I remember correctly. There were many people who came after me, though, and the volunteers at R said that they set aside some beds and food because almost every day there are a few people who stumble in after dark.